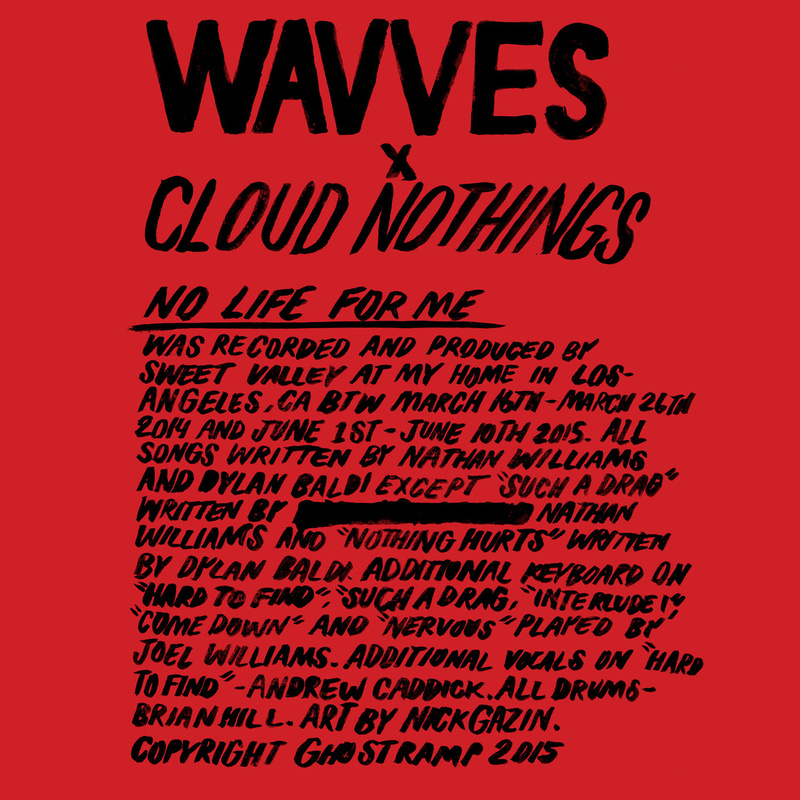 There’s been a lot of talk over the last year about this collaborative effort from Nathan Williams (of the surf punk darlings Wavves) and Dylan Baldi (noise rock darlings Cloud Nothings), and on June 28 it was finally released by surprise through Williams’ own Ghost Ramp label. It is everything that fans of both bands expect and love; it’s loud, hard, and barely gives you a chance to catch your breath. Though many bands now feature the same kind of sound as both these acts, this album further demonstrates why they still reign as two of the best. Williams’ voice instantly transports you to sunny California, yet an overlay of darkness, clearly Baldi’s influence, pervades the album as well as some of the always-great shoegaze washout effects. Both of these techniques are best exemplified in peak form on the tracks “How It’s Gonna Go” and “Hard To Find”. If you are a fan of either of these bands (or just a fan of rock music meant to be played loud enough to piss off your neighbors) this album is a must-have. Warning: multiple tracks will incite highly-animated and embarrassing air guitar routines if you think you’re alone.